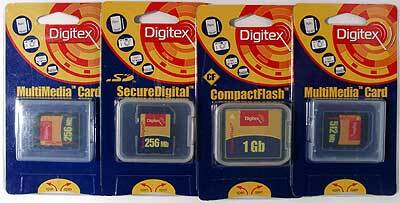 Today we are going to test flash memory cards from Digitex: one CompactFlash, one SD 256 MB (earlier we tested a 128MB card which is not of much interest these days), and two MMC cards, 256MB and 512MB. The company didn't have plans for MMC cards over 128 MB. All the latest equipment supports the more advanced format - SD, which is compatible with MMC, that is why MMC didn't seem of any interest. But it turned out that far not everyone needed the new features of the SD format, and the production of the MultiMedia Cards wasn't stopped. Soon the company released 256MB samples, and now the maximum size is 512MB. 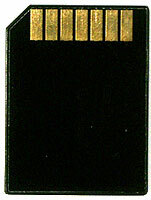 The volume of such cards doesn't yield to that of the widespread Secure Digital or MemoryStick Procards. 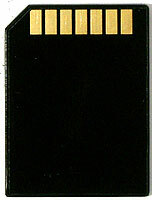 In spring Digitex started production of redesigned cards. Now they all have a single style. We will see if such changes have certain reasons. But all the cards come with the 3-year warranty which together with their pretty low prices make Digitex products quite attractive. The testing technique didn't undergo any changes - we just changed the PC, but the card reader and the controller are the same, that is why the scores of the cards tested before didn't change (here are their reviews). However, the testbed will be changed a little. The 6 in 1 IEEE1394 card reader demonstrates the best results for CompactFlash cards, but it works worse with the SD/MMC. I was looking for a substitute for quite a long time and I found one, but I found it after the Digitex cards were tested, that is why the new results will be estimated next time (I just want to say that the MMC cards have pretty unexpected results). Judging by the CF compatible equipment, the cards don't look as bright as before. They do not get integrated so widely in PDAs, they are rarely used in players, and the only sphere they prevail is photo equipment. However, even in this sphere they have strong competitors: for example, Sony whose cameras are getting more and more attractive, is not going to part with its MemoryStick, though the format hardly has any advantages. On the other hand, there are actually no alternatives for CF. Are there any other cards of a couple of gigabytes at an affordable price? Its smaller cards are also able to beat their competitors ;) Add the high speed, support for other types of equipment, compatibility with other formats via adapters (for example, SD or MS, but you can't make a SD or MS device CF compatible). So we have the Digitex 1GB CF card. After all pricecuts the cards of such size are affordable not only for professional photographers but also for amateurs. Besides, the CF actually has no competitors at this volume level. 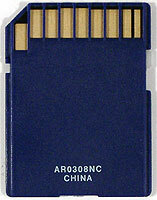 Compared to the Optimal 128 MB tested earlier, the card's front side is different while the back remains the same. That is why I don't expect any changes in the speed: Toshiba will be Toshiba. Let's see if I'm right. Well, the average access time, a high read speed, and a relatively low write speed are close to the older card. 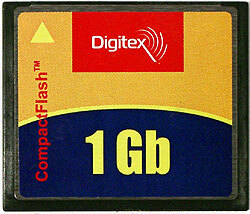 Digitex's CompactFlash cards make no competition for high-speed products. But the write speed is sufficient for many spheres of application - that is why the cards can be a good choice for photographers-amateurs (due to the high data rate it won't take much time to copy data from the card to PC). Such cards are already limited by the standard. Besides, new equipment tends to have SD slots rather than MMC. Moreover, devices with such slots do not always support the cards over 128 MB (at least, we couldn't attach the MMC 256 MB card to the Nokia 3650). 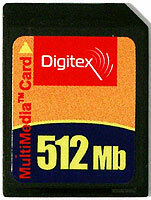 Is there any sense to make cards of 512 MB? But far not everyone needs the high speed and other advantages of the SD format, and many owners of SD-compatible equipment prefer cheaper MMC. Let's see what Digitex offers. The access time isn't brilliant, though the read speed looks good, and the write speed is even higher compared to the other cards. However, there's no good in further increase of the size. The speed limit is very close. For last 1.5 years the speed increased 4 times (if not 8 times: first MMC 128 MB cards appeared only at the end of spring 2002 and became available in summer), the write speed grew by a quarter, and the read speed didn't increase at all, the cards look even slower (especially because the USB 1.1 is no obstacle anymore). I doubt that sizeable MMC cards are useful. You won't save much. The Digitex SD 128MB card we tested in spring performed well, but the SD's performance is opposite to the MMC and differs a bit from the CF: the 128 and 256 MB cards also differ in the speed. Most of the 128MB and smaller cards have a low speed and lose even to the MMC, while the larger cards have much better performance and successfully compete against the CompactFlash. What confuses me in this card is the word China written on back. The matter is that this is the way SanDisk marks its cards. 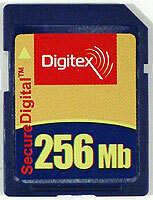 Although the company gave birth to the CompactFlash and Secure Digital formats its products often yield to their competitors, and its SD 256 MB cards look even less successful. Let's test this one. Well, if it's not SanDisk, then it must be the next of kin :) Flash cards quite rarely have lower access time than the hard drives, and this is the first time it happens with SD cards. This card doesn't suite at all for storing small files. As we found out, the card reader used cuts the SD speed as it supports only two data lines instead of 4. However, this card underperforms anyway. The write speed is pretty good and generally equal to most other models of the same size. 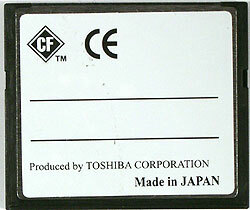 That is why such cards are a good match for digital photo cameras and players, though they could work better. But they are not that good for storing data. In general, Digitex's products got the average scores (only the SD looks a bit worse). Plus the 3-year warranty and good support service. The twice greater size of the MMC isn't actually of much use. A lot of compatibility problems and the same speed... Such actions won't reanimate this market segment.